A great listening experience involves more than just high-quality audio equipment—the way sound moves around the room matters just as much. You don’t have to be an expert acoustician to create an impressive listening environment—just an understanding of some basic acoustic concepts will get you well on your way. Reverberation (or reverb) is important to think about when planning the acoustical treatments for your room. To define reverb, we first need to understand how sound travels from the source to your ear. When sound is emitted, sound waves take off in every direction. Some waves will travel the straight path from the source to your ear, and the rest will bounce around the room, ricocheting off of hard surfaces until they reach your ear or lose steam and die out. You hear the unadulterated direct sound first—then you start hearing indirect sounds as they arrive. Given that sound travels roughly 770 miles per hour, this happens very fast, and your brain interprets all the copies of sound together as one. The ratio of direct and indirect sounds determines the sound quality. That is where reverberation comes in. Reverberation is the collection of indirect sounds in an enclosed space. The more sound copies that pile up, the muddier the sound becomes. How Does Reverberation Affect the Listening Experience? When direct sound and reverberation combine in a favorable ratio, the sound is rich and full. The effect can bring music to life and even smooth out transitions between musical notes, creating a pleasant, desirable sound. However, when the mix is off, you hear the unfavorable result: Too much reverb can degrade your listening experience because too many overlapping sounds reduce clarity and speech intelligibility. Sorting through the noise is a lot for our brains to work out and makes listening more fatiguing. So just reduce reverb completely, right? Not exactly. Too little reverb makes sound, especially music, sound dull and one-dimensional. There are many environmental factors that contribute to reverberation, so to set a reproducible parameter, acousticians use reverberation time. Reverberation time is the length of time (in seconds) it takes for the original sound to decay by 60 decibels (approximately full-strength to background noise); this is known as the RT60 measurement. RT60 represents the average decay rate of all the frequencies in a space. High frequency sounds (whistle or shrill voice) and low frequency sounds (bass drum or rumble) can have different reverberation times depending on the conditions in a room. For instance, in a typical home, low frequencies are absorbed by the flex of drywall, causing shorter reverb time; high frequencies reflect off the walls and keep circulating, creating a longer reverb time. On the other hand, in a concert hall with wood walls—which absorb high frequencies more than lows—the low frequencies have a longer reverb time. Room size is also a factor. Larger rooms promote longer reverb times—the sound waves have farther to travel before reaching a reflective surface. This effect is one way we perceive space; a boomy or echoey atmosphere tells our brains that we are in a large, cavernous room. When the sound in a room is dull and flat, it’s an indication that we are in a confined space. That’s why listening to the way a room sounds can give you an idea of the size, even with your eyes closed. Acousticians and audio specialists rely on RT60 to design acoustic treatments to optimize the listening experience. The purpose of a room dictates the optimum reverberation time. For example, the ideal reverb time for a speech would make an orchestra sound dull and lifeless, while the ideal reverb time for an orchestra would make speech garbled. Auditoriums are large rooms with a lot of hard surfaces that reflect sound waves. Longer reverb times are useful in large spaces to reduce the drop off of sound intensity, which occurs as the sound waves diminish as they travel longer distances. Ideally, there should be enough short reverb time so sound stays crisp and clean and enough long reverb time to create rich and lively sound. Lecture-style classrooms work best with a medium reverb time. They need enough sound reflectivity to allow students in the back to hear, while keeping the reverb time low enough for clear, intelligible speech during lessons and discussion. A preschool classroom on the other hand will benefit from acoustical treatments that lower reverb time as much as practical, reducing the loudness and sharpness of sound from playful young students around the room. Voice recording booths require short reverb times so only the clear, direct sound is recorded. Artificial reverb can be added to the recording later to achieve the desired effect. 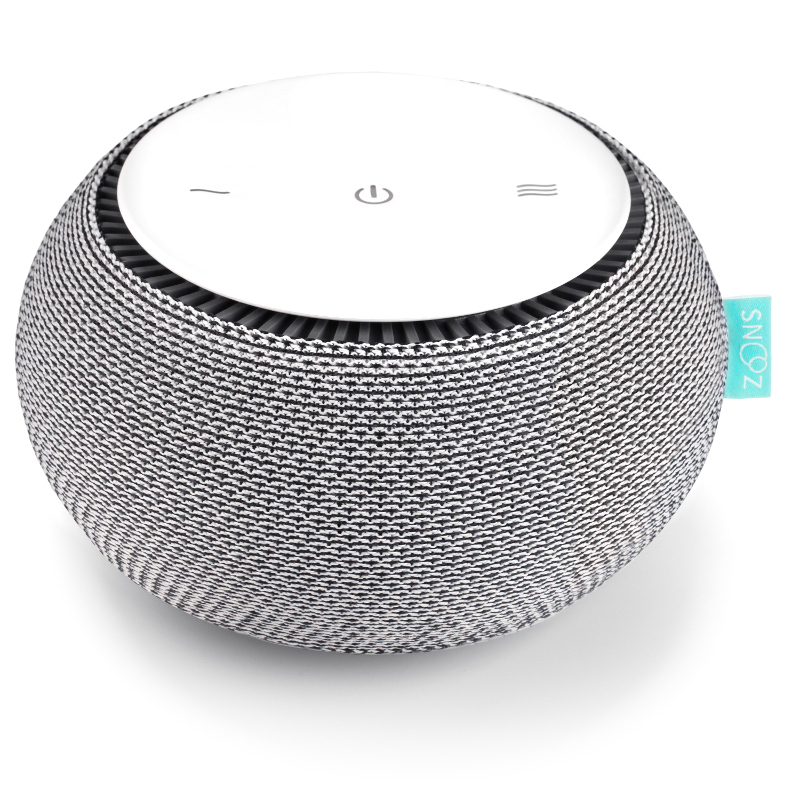 Well-designed acoustic treatments can improve sound quality in any listening environment. 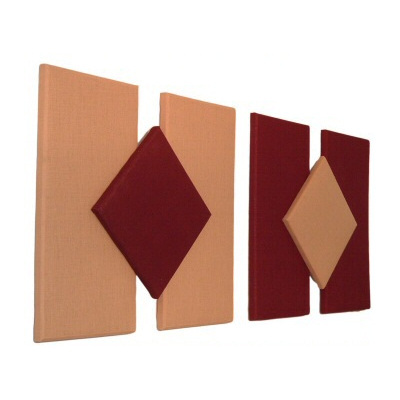 Wall-mounted acoustic panels absorb sound waves so they don’t ricochet off the wall. This “flattens” the reverb response and cleans up noise in the environment. Although soft surfaces like curtains and carpet absorb high frequencies, they don’t absorb midrange and low frequencies, leaving you with an uneven, dull room tone. As a general rule, the thicker the material, the lower frequencies it absorbs. The desire for high sound quality goes beyond a theater or recording booth. For example, in restaurants, good acoustics is just as important as good food. Many dining rooms are large with hard reflective surfaces everywhere. When you get a few conversations going, the reverberant noise can make it difficult to hear your companions or enjoy your meal. Savvy restaurant owners strategically place acoustic panels along the walls and ceilings to absorb the desired level of noise. Acoustic treatments can be manipulated to foster a lively, bustling setting or create a subdued, intimate atmosphere. Acoustic baffles—similar to panels but are designed to hang from the ceiling, perfect for gyms, auditoriums, etc. The experts at ATS Acoustics specialize in finding the right acoustic solutions for residential or commercial spaces. Get started by calling one of our knowledgeable staff at 866-787-7881, or take advantage of the ATS Acoustics Free Online Room Analysis—it simulates and displays a report about reverb time in your room, with recommendations for treatment. Click below to start your free analysis. ATS Acoustic Panels with Guilford of Maine fabric! The wait is over! By popular demand, we now offer our original ATS Acoustic Panels with Guilford of Maine Fabric, one of the top name brands in acoustic fabrics. Manufactured to ATS Acoustics specifications, our Guilford of Maine fabric utilizes post-consumer recycled plastics to create an acoustic fabric style similar to our ATS Original fabric, but with a higher end look in mind. This 100% polyester blend fabric naturally meets NFPA 701 fire rating, resulting in a ASTM E84 Class A fire rated acoustic panel. ATS Acoustic Panels with Guilford of Maine fabric are an excellent choice for healthcare, hospitality, education, office markets, or any other application where fire rating standards and high performance textiles are desired. This panel is 2 inches thick. Core material is Roxul AFB mineral wool, a highly effective sound absorber (NRC 1.0 out of 1). Higher NRC means fewer panels are needed to treat your space. Cover fabric is 100% polyester, Guilford of Maine, fire resistant. Fabric is NFPA 701 rated, and panel is ASTM E84 Class A fire rated, at no additional charge. Available in a range of colors to match your style. If you live in the Washington DC Metropolitan area, check out Capital Audiofest 2015! The area’s comprehensive quality audio event has moved to the Hilton Hotel at Twinbrook Metro in Rockville, Maryland this year, and they will feature high end audio manufacturers. Among those exhibitors at this event will be our friend Greg Takesh with GT AudioWorks. Stop by the room 404 to listen to their new GTA2.5 planar dynamic hybrid speaker system! Greg will be utilizing some of our ATS Microsuede acoustic panels to treat the acoustics in the room and will also have general information available from our company. So stop on by and tell him that ATS Acoustics sent you! 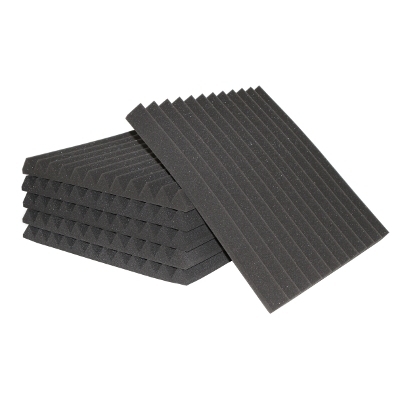 ATS Acoustic Wedge Foam Panels on Sale! Don’t miss this limited time sale! Select ATS Acoustic Wedge Foam acoustic panels are now on sale until September 27th, 2015! We have dropped our prices to an unprecedented level for our 24″ x 24″ x 2″ and our 12″ x 12″ x 2″ acoustic wedge foam panels. This is the first time we have offered our acoustic wedge foam panels at this much of a discount, so take advantage while you can! ATS Art Acoustic Panels with Pre-Selected Images Now Available! A Library of Art Panel Possibilities! The selections have been made! ATS Acoustics is proud to introduce our new line of ATS Art Acoustic Panels with Pre-Selected Art or Photos, featuring music and movie art images and photos. Chosen by ATS employees, these art images have been pre-selected for their ability to blend in with your existing decor or become the stand alone piece in a room. By offering these pre-selected images, our Art Production department has been able to eliminate the standard image proofing process and cut our typical production lead time down to within 1 business day of placing your order! Available for purchase as individual art acoustic panels or 2 piece art acoustic panel sets, you can now jump-start the design process for your acoustical treatment without pouring over thousands of images. Love the image, but would like a different size? Contact one of our ATS Sales Representatives for available options. We live in a 3-D world. So why should our acoustical treatment designs be limited to a 2-D layout? With our panel-to-panel mounting hooks, your space can expand beyond standard acoustical treatment layouts. Attaching multiple acoustic panels together in an overlaid 3-D pattern is easy with these hook and eye screw mounting products. The panel-to panel hook and eye screw sets are appropriately sized for mounting to the backing of the acoustic panels and other surfaces, such as the internal frame of another acoustic panel. Although small in size, they have a big visual impact when combined into any number of acoustical treatment design layouts. •	Brass-plated hooks measure 1 1/4 inch long. •	Zinc-plated eye screws measure 12/16 inch long. 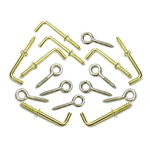 •	Each set contains 8 hooks and 8 eye screws. •	Quick Shipping via UPS Ground. Deciding what acoustic treatment you need for a specific room, project, or venue can be as difficult, or easy, a task as buying a new car. Purchasing acoustical treatment and buying a car both require you to think carefully and weigh your needs versus your wants before signing on the dotted line. While you may want the newest 2-door sports convertible on the market, your needs may require you to buy the 6 year old, “Soccer Mom” van listed in the classified ads. With endless options available in the marketplace, how do you balance the scales and strike that magical balance between what you want and what you truly need? You can start by determining the answers to the following trio of questions. 1. What am I hoping to achieve, or what problem am I hoping to address, by adding acoustical treatment into my space? Acoustical products are designed to either treat multiple or individual acoustical aspects of a room. Products such as diffusers are more narrowed in their performance, whereas the performance of acoustic panels can be varied depending on their installation or application. By narrowing down what you hope to achieve, or what problem you may want to address, you will narrow down your treatment options. 2. Am I willing to compromise on the look of my room in order to get the acoustic sound I want in the room? The amount or type of acoustical treatment you need in a room will vary based on a number of factors. Included in the list of factors is the amount of space you have available for the placement of acoustic treatment and the acoustical properties of the room as it is currently laid out. Moving the location of items within a room, or removing or changing out items within a room, will affect the acoustic properties of a space. If you do not wish to change the current layout of your space, you will need to add treatments based on the space and sound you currently have. Custom size acoustic panels and bass traps can be built to fit within a space or around room structures. Product options, such as panel thickness and sound absorption range, allow you to increase or decrease absorption where you need it. If you are more open to changes, you can refine the sound of your room to your preferences along with the aesthetics. Art acoustic panels are a popular acoustical treatment that can be added into a room in place of existing decorative wall elements. Utilizing microsuede fabric or custom ordering a fabric for your products can also give your space a more personalized touch. While you may be hindered by your available space, your design choices can be limitless! 3. How much time and money do I want to invest in this project? Budgeting a project can be a tricky job. You must determine how you wish to divide your funds, as well as your time, in order to complete your project in the way you wish. You must ask yourself whether you want to complete the project all at once, or if you are okay with it being a work in progress? When looking into acoustical treatments, a stock item will take less time and money to have completed than an item that is fully customized to fit your project’s needs. When it comes to customizing acoustical treatments, the lead time for production is often determined by the availability of materials that are needed to complete the customization. In stock materials may only take a few extra days to acquire from a distributor, while made-to-order materials can take upwards of twelve weeks to acquire. Knowing how you wish to allocate your project budget will go a long ways in helping you to make a final decision on how you wish to proceed on a project. For an extra hand in planning or budgeting your project, please contact one of our Inside Sales Engineers. Visit AXPONA 2015 in Chicago this weekend! It’s that time of year again! If you are a serious audiophile or a general music lover, and you are in the Chicago area, be sure to visit Axpona – Audio Expo North America, this weekend at the Westin O’Hare hotel in Rosemont, Illinois. It will be running Friday, April 24th through Sunday, April 26th. Featuring some of the world’s finest consumer audio systems and products, it is three days full of music, technology, design, education, networking, and entertainment. Four members of the ATS Acoustics team made the journey to Chicago in 2013 for this stellar audio trade show. While we will not be on site this year, a couple of the Axpona audio vendors are once again utilizing some of our acoustic treatments in their rooms and have information available. Channel D, an audio software company, will be in the Lower Level-Wabash Room. Other vendors in this location include Pure Music, Pure Vinyl, Seta, and Lynx Studio Technology. Check out our ATS Microsuede acoustic panels and our ATS Acoustic Corner Bass Traps, which will be utilized in the room. Snake River Audio, a high performance audio cable manufacturer, will be in Room 454. Other vendors in this location include Sonist Audio, Raven Audio, George Warren Precision Sound, SORAsound, Mytek, and Supreme Analog. Utilized in the room is our latest addition to the ATS Wedge Foam acoustic panel line-up– the 12x12x2 ATS Acoustic Wedge Foam panels in Charcoal and Grape. So visit with our friends at Channel D and Snake River Audio at Axpona this weekend, and tell them that we said hello!